A screenshot from the Sidecar mobile app. Photo courtesy of Sidecar. General Motors has acquired the assets of Sidecar Technologies Inc. and hired some of its employees, according to a report by The Detroit News. 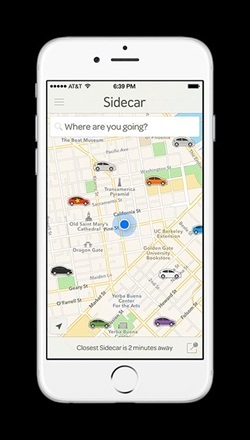 Sidecar recently closed its ride-sharing and delivery operations on Dec. 31. This acquisition comes soon after GM invested $500 million in Lyft to help expand its ride-sharing service and urban mobility team. Vijay Iyer, a GM spokesman, told The Detroit News that the company is in the process of hiring Sidecar employees but wouldn’t comment on the number of employees hired or the specific assets bought. Click here for the full Detroit News report.